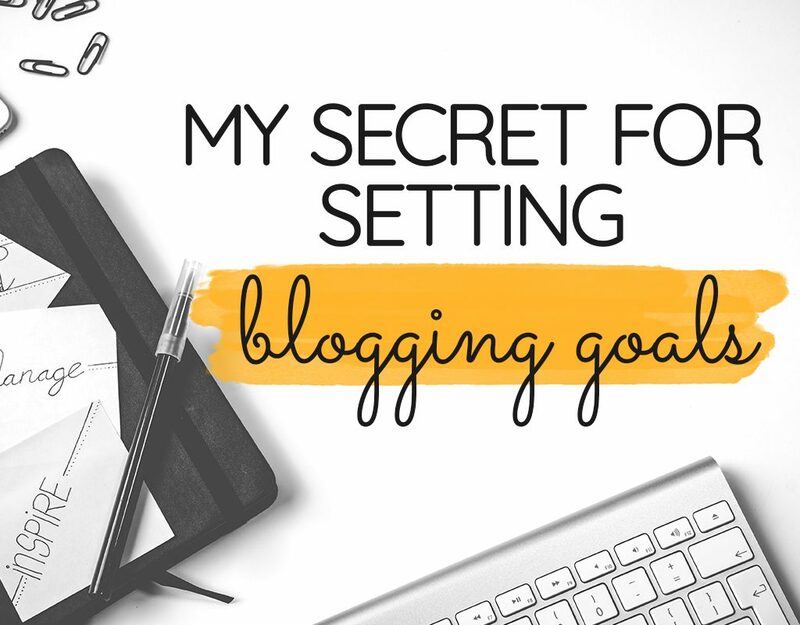 These goals all depend on the direction you want to take your blog as well as how much time you have. Keep them realistic! If you have a huge goal that’s going to take up loads of time, then only choose 2-3 goals. We start with a big goal, then break it down into the tasks to work towards that goal. Now, we need to figure out how to fit these goals into each month. Maybe you’ll focus on 2 goals each month, or work on all your goals each month. 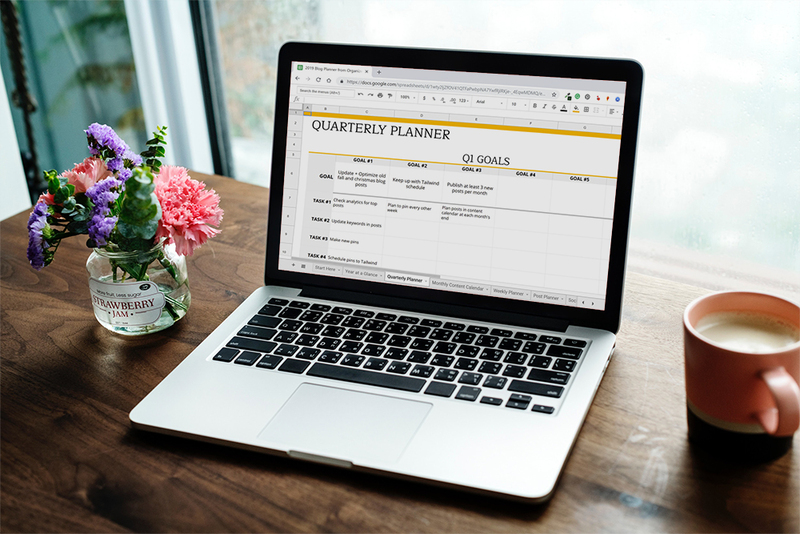 My favorite way to do this is through a monthly content calendar in the Digital Planner for Bloggers. Make sure to include any other tasks you want to complete during the month, like other social media posts, blog posts, pitching your products or blog, creating a new product, etc. Now you have an easy way to put together your weekly to-do list! At the beginning of each week, take a look at your monthly calendar and plug in your tasks. You can add even more details and other miscellaneous tasks, too. I like to include things going on in my week, like lunch dates and appointments. That wasn’t too painful, am I right? Now, the trick is to stay consistent with this method! When I’m feeling out of sorts, it’s usually because I don’t have a clear direction with my tasks. Honestly, it’s taken some discipline to actually use my planner, but my productivity skyrockets when I’ve filled out my weekly agenda. Ready to skyrocket your productivity? I’ve got you. 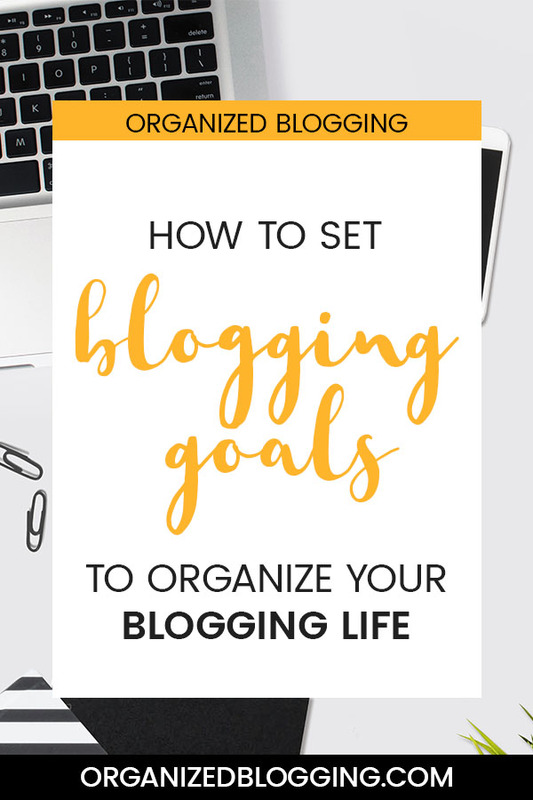 When it comes to setting blogging goals, I’m obsessed with my digital blogging planner. I’ve made worksheets for planning out the year with quarterly goals, monthly tasks, and a weekly agenda. It’s in Google Sheets, so you can access it from any device and it’s always with you! Snag it right here for just $25! Though we’ve been blogging for about two years now, it took until recently for me to feel like I have some sort of order to the way things are done. For the first time, we are laying out an editorial calendar for 2019 that is organized by themes for each month–I got the idea from another blogger whose name escapes me now. It sounded easy and it certainly is easier than the flying by the seats of our pants (as we have pretty much done until now). We run a blog, a YouTube channel and a podcast, so having weekly posts for each platform had been a goal that we have finally gotten used to meeting. With the help of some of this advanced planning, we should feel a little calmer about getting that content out, as well as tackling other larger goals, like finishing our first eBook and our first email course. Thanks for reminding how much better it feels to be organized. Thanks so much for your comment, Vox! Sounds like you have a lot on your plate, but I’m glad you’re taking time to create an editorial calendar. It will definitely make planning easier and save you a lot of time in the year to come. Best of luck next year! Brand spankin’ new blogger here. What a helpful post! Keep up the great work. Happy New Year! I know I need a content calendar for my blog but it has just been one of those things I haven’t done yet but it is top in my must-do now. It has been hard for me to stay consistent because I am trying to do too many things at the same time. I like the tip you gave on breaking it down into monthly tasks, I do that for my other life goals but had not done it for blogging yet. I will definitely get my calendar done this week and hopefully be more organized. Thank you for your post. Thank you so much for your content! I’m a brand new blogger and I was feeling so overwhelmed. But this post gave me a fire and a plan. So thank you!